My house is somewhat modern, new appliances, pretty flooring, all of that good stuff that comes with moving into a new home. The ironic part is that while I basically want everything to BE new, I want it to LOOK old. Bring on the “Cottage Beach Chic” era of my life because I could decorate everything in khaki, cream, and chalk paint for days. Not that this is new, you may remember my chalk paint mirror attempt a bit back a bit (if not here you go- 30 Min Chalk Paint Mirror). Since then I’m like hmmm, what else can I slather paint on and make look like it just fell out of the best farmhouse in America. 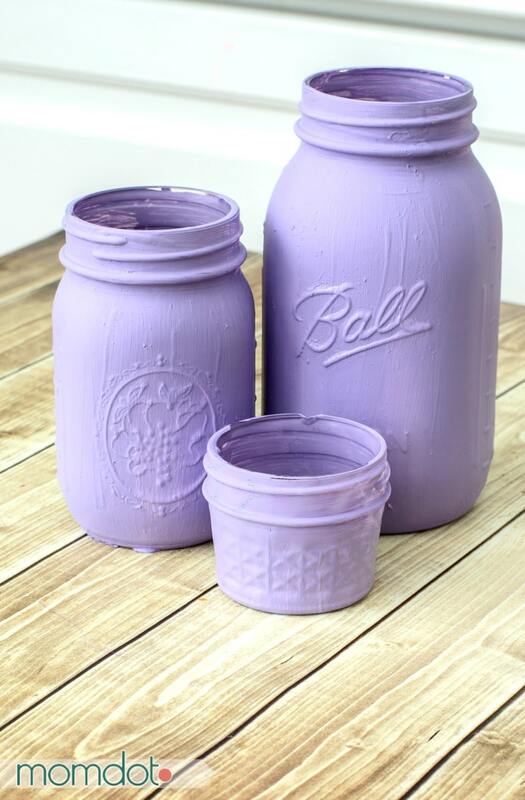 Now, this blog has had quite a few mason jar crafts. Just to give you a sum up if you haven’t been here before, here just a few things I have done with mason jars. And now to add to it, one more totally fun project! Painting mason jars is just too much fun. Its so easy that your children can get involved and you can create a custom look for any room in the house. Mason jars can be used to hold way more than just flowers. 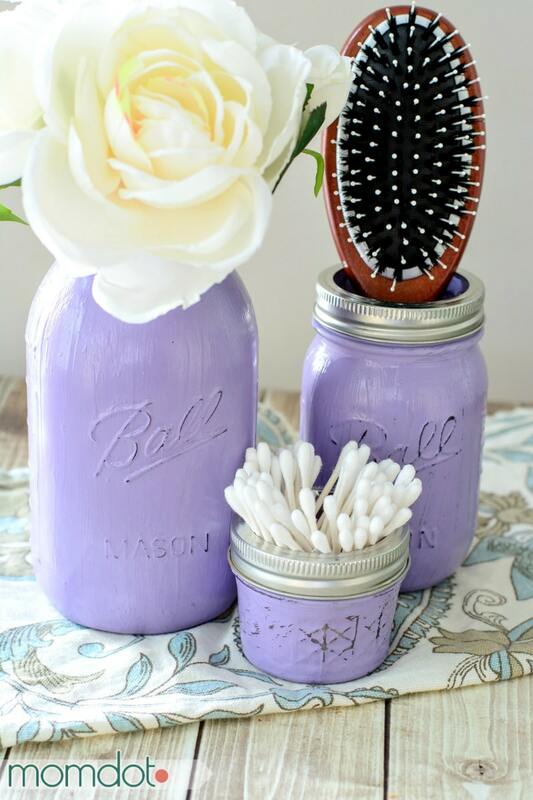 Add an earring jar, toothpick, hairbrush, cotton balls, nail files, q tips, you can mason jar for days! So break out the paint and the modge podge, here we go. Mason Jars in various sizes – it’s good to decide what you are going to put in them before you buy. 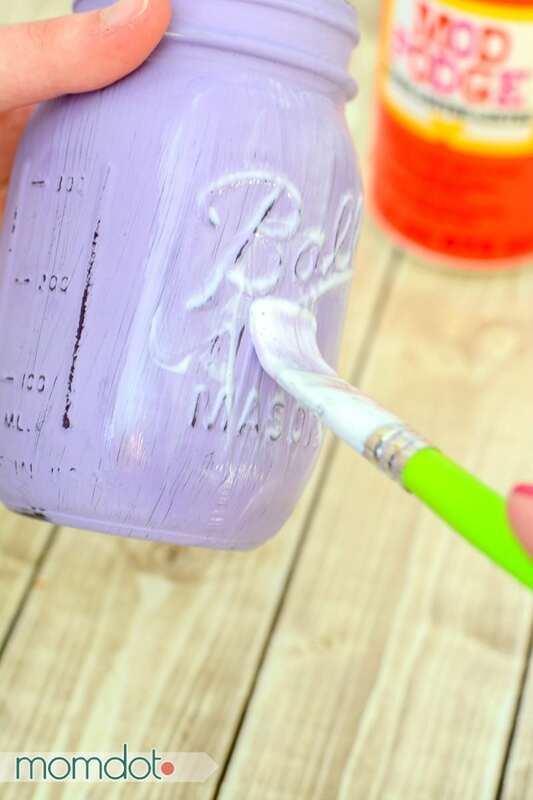 Paint the outside of the jar with acrylic paint, let dry for 12 hours and repeat one more time to get a good coat. Now do you love all things mason jars? ME TOO! 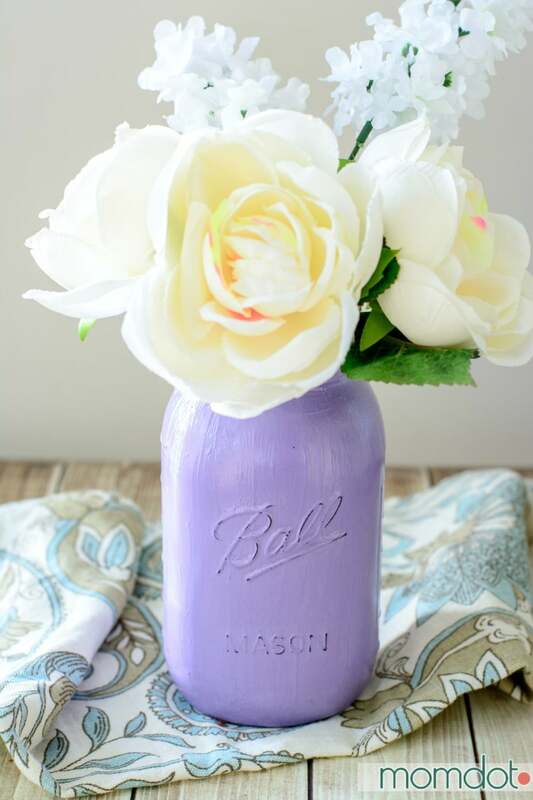 So do not forget to check out my MASON JAR CRAFTS category and then follow me on Pinterest for more fun ideas!